Today at 12:30pm, more than two dozen people (including myself) crowded in front of what used to be the Circus Cafe’s location in Downtown Saratoga to celebrate the ribbon-cutting of our city’s newest culinary outpost: restaurant/pub, Pig N’ Whistle. Customers will be able to stuff themselves full of delicious traditional Irish pub fare this afternoon—the restaurant officially opens for the early dinner crowd at 4pm. What’s on the menu? We’re talking bar staples like Shepherd’s Pie, with ale-simmered beef and vegetables; and Bangers N’ Mash, with Irish style sausage over mashed potatoes. There’s also whimsically titled dishes such as the Notorious P.I.G., which is a heaping plate of tater tots, pulled pork, bacon, jalapeños and Guinness gravy; and the pretty straightforward Jameson Burger in, yes, you guessed it, a whiskey cream sauce, with a thick-cut fried onion ring on top (these 7 oz. burgers will be a specialty of the new location). But if you’re not partial to Irish food, there’s plenty of other dishes to choose from, including oven-baked pizzas, sandwiches, wraps and signature plates of mac and cheese. Did I mention there’s Guinness Stout French onion soup, too? I caught up with Co-owner Jordan Bush at the ribbon-cutting. 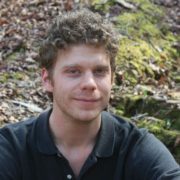 “My restaurant experience is basically growing up in a family that just loved restaurants,” says the 25-year-old Bush, who aptly sports a red beard. “We’re an Irish-American family. So I got thrown into the kitchen at a pretty young age.” Bush first worked at the flagship restaurant in Burnt Hills, Pig N’ Whistle at the Grove, which debuted in 2012 and is owned by his father, Tom. 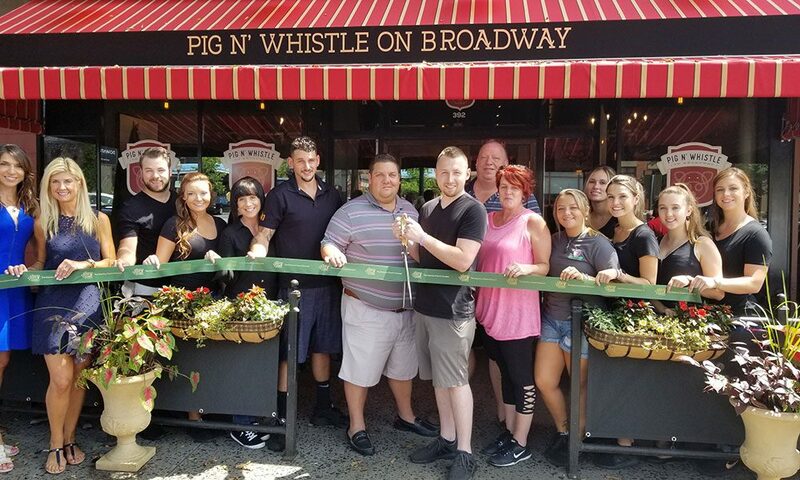 Like the Burnt Hills location, Saratoga’s Pig N’ Whistle will feature an extensive selection of craft beers, Irish whiskeys (though not exclusively Irish) and a very similar albeit smaller menu. The restaurant’s other Co-Owner is Bush’s business partner, Scott Solomon, a local lobbyist in government relations who was also a minority owner of the former Mingle restaurant here in Saratoga and Albany. So if you’re not doing anything for dinner tonight, head on over and, get a Jameson Burger and raise a pint (of more Guinness, of course) to the new Pig N’ Whistle.